In the creation narrative, each act of cosmic proportions is preceded by the Almighty’s verbal declaration – vayomer (“He said”). The power of the word is immeasurable. It can be understood that speech is the catalyst of change – if not, simply, the precursor to an event. In either case, the spoken word is not to be taken lightly. How, then, can educators integrate this resounding lesson – that words can build and, possibly, destroy, entire worlds – into their way of communicating effectively in a school setting? In the book we recently wrote, Not At Risk – Education as a Work of Heart, we describe a three pronged approach to communicating with students. This schema was employed at the alternative religious high school model – Mercaz L’Mida Dati (known as Meled) – that we established over twenty years ago in Jerusalem for those adolescents who did not successfully fit into the standard religious educational system. We believe that similar communication can be effective and relevant to the general school population in any Jewish school setting. To return to the narrative of creation: implicit in the human condition granted by the Almighty is freedom of choice. Man is advised against a particular deed, but not prevented from acting according to his or her free will. Man’s humanity develops in partnership and, at times, in defiance of God’s will. This interaction follows the Jew throughout history, when the essence of his very belief system is challenged by choice in the balance of life and death. Jerusalem’s Meled High School, with non-coercive religiously oriented education, places the student, not the curriculum, at the center, and offers students a wide range of educational choices. This approach can act as a powerful antidote to counteracting years in which these adolescents may have experienced great frustration, possibly failure, within the educational network. That effect does not preclude the benefits all students can reap from communication that empowers youth to choose subject matter and how to implement its study, to feel trusted and empowered. Implicit in this open approach is the avoidance, by educators, of any labelling or stereotyping of their students, which could be interpreted as judgmental and detrimental. Ultimately, Neill tasked education with a focus on youths’ emotional, as opposed to merely intellectual needs. According to world renowned psychiatrist Dr. Milton Erickson, two basic modes of language correspond to respective hemispheres of the brain. The left hemisphere, which is dominant, assimilates logical, analytical language, called digital, which is precise and concrete. In school, most subjects, particularly those linked to math and the sciences, direct knowledge to the brain’s left hemisphere. The right hemisphere, on the other hand, assimilates aesthetic, experiential and imaginative understanding, which can reach great depth and meaning, as well as reaching human feelings. Notably, educators’ use of dialogue directed to the right hemisphere, including the use of humor and metaphoric/analogic language, can trigger a process of incalculable change in students, not to mention their parents. One example of analogic language that was particularly impactful on students at Meled is the expression, “The ball is in your court.” The implicit message of personal responsibility this adage conjures up accompanies the school’s graduates throughout their lives, as testified in some of the student accounts recorded in my book. Communication, particularly when conveying the teacher’s trust in the integrity of the student, is most effective when directed to the youth’s emotional wellbeing. Our Jewish heritage offers a treasure of such communication, from as early as Mishlei (Proverbs) and Tehilim (Psalms) to the classical mashal (parable) of the Hasidic Masters, for validating and empowering students both in and out of the classroom. Invariably, any attempt to foster understanding and motivation through metaphoric language must use the appropriate language or go unheard. At Meled, students would often be told, “We don’t have to learn, but we have to learn how not to learn.” Although all communication, whether directed to the left or right hemispheres, has important functions, it should be employed strategically within an educational setting to maximize its effect. Notably, an educator’s use of analogic language can also convey meta-messages of respect of student differences. Furthermore, in the Ericksonian tradition, there is an emphasis on the future, on the hope of change. We tried to communicate its value to our students as early as the intake interview. When students would dare us to listen to their tales of woe, for which they had been held responsible in the past, we would return the challenge – threatening to predict how far they could go in the future. This response would invariably elicit puzzlement, if not outright fascination. The stage was being set. In addition to conveying trust in the individual’s ability to change, Ericksonian communication entails respect and acceptance of individuals’ inalienable rights to their feelings and beliefs. To uphold these rights, while communicating basic values and tenets, the educator should accept diverse viewpoints without judgment. Furthermore, Erickson was committed to protecting the individual’s integrity. Within a school setting, this includes recognizing and affirming the separation between the student and any problem he or she faces. The student may have a problem but is not defined by it. In some cases, it’s important to encourage students to use their own resources to solve issues, if possible. Notably, effective channels of communication according to the Ericksonian approach can empower members of the entire school staff, as well as students and their parents. An emphasis on communication vis-à-vis the future was shared Rav J.B. Soloveitchik in his various works. According to him, “…man is unique by virtue of his ability to make of himself more than he is by nature.” In our understanding, students must be taught not only to exercise their innate capabilities but also be guided in how to grow and achieve beyond what’s expected, to transcend themselves. The teacher has an expanded role as a spiritual mentor, not only sharing information but visions, experiences and dreams – his or her own very essence. In the Rav’s words from his book Vision and Leadership, “One cannot teach unless one tears down all barriers separating individuals from each other.” Instead of transmitting information mechanically, the educator shares his or her own life experiences, drawing on a well of affection, kindness and mutual respect. 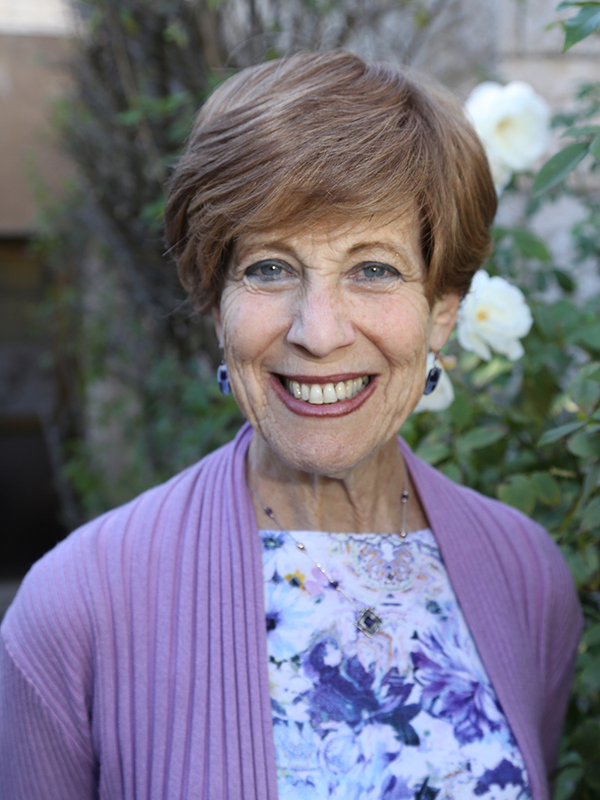 As the Rav adds in Community, Covenant And Commitment: Selected Letters And Communications, “I enjoy sharing knowledge with others; I like the dialogue between teacher and student and I find fulfillment in it.” Furthermore, through effective dialoguing, both teachers and students gain a level of trust and mutual respect. The teacher, according to his or her dialogue – can act as a model of inspiration, possibly a change agent – not through conveying authority as much as by reducing it. Beyond what students learn from formal education, they acquire a way of acting and feeling through observation of the teacher’s behavior. At Meled, the security afforded by the staff’s faith in the students freed up the youth to believe in their teachers, in one another, in themselves, and possibly, as well, in their Maker. While Neill believed that students need to express themselves freely in order to effectively learn and Erickson encouraged analogic communication in order to catalyze change, Rav Soloveitchik understood that education is a means of guiding students in how to use that freedom. As the Rav explains in Festival of Freedom: Essays on Pesah And the Haggadah, “On the Seder night, every Jewish home becomes a teaching community, a didactic fellowship, a school where a class of disciples is instructed in Judaism….how to act as free people and how to utilize their freedom.” In the Rav’s philosophy, the teacher not only enlightens students’ minds but also sensitizes their hearts, connecting them to an inner spirituality. In short, with the spoken word – vayomer – within a school setting – inner worlds of immeasurable depths and heights can be illuminated. 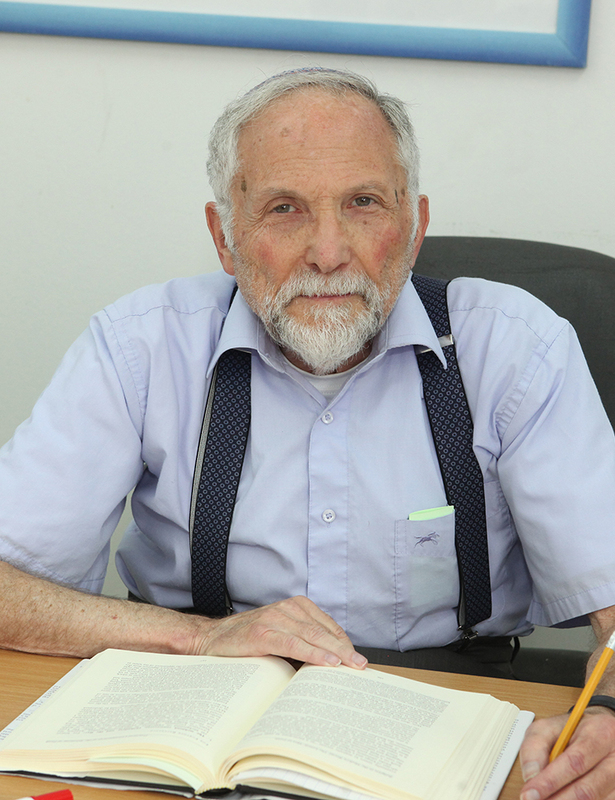 Dr. Menachem Gottesman founded the Mercaz L’Mida Dati (Meled) Learning Center High School in Jerusalem after an extensive career in academia, research in the social sciences, as well as in education, and clinical consultation, both in the U.S. and Israel. After receiving a B.A. in Psychology from Yeshiva University in New York, he completed both an M.A. degree in Education and a Ph.D. in Child Development and Family Relations from Syracuse University, Syracuse, NY. Leah Gottesman has a B.A. in English Literature and Education from City College of the State University of New York and an M.A. in Creative Writing from the English Department at Bar Ilan University. She has divided her professional skills between teaching English, marketing, journalism, fundraising and tourism, and enjoys writing poetry and studying archaeology. Leah has been supportive of and involved in many aspects of Meled School’s development since its inception. Neill, A. Sutherland. Summerhill: A Radical Approach to Child Rearing. New York: Hart Publishing,1960. Soloveitchik, Rabbi Joseph B. Community, Covenant and Commitment: Selected Letters and Communications. Edited by Nathaniel Helfgot. Jersey City: Ktav, 2005. Soloveitchik, Rabbi Joseph B. Festival of Freedom: Essays on Pesah and the Haggadah. Edited by Joseph B. Wolowelsky and Reuven Ziegler. Jersey City: Ktav, 2006. Soloveitchik, Rabbi Joseph B. Vision and Leadership: Reflections on Joseph and Moses. Edited by Joel B. Wolowelsky, David Shatz, and Reuven Ziegler, Jersey City: Ktav, 2013. Ziegler, Reuven. Majesty and Humility: The Thought of Rabbi Joseph B. Soloveitchik. New York: Urim, 2012. The Gottesmans speak of a “non-coercive religiously oriented education.” Having studied both the Emunah and Jewish Family components of the Ministry of Education matriculation exams, which are required at Meled. I wonder how they can balance this non-coercive, respectful, non-judgmental approach to religious education with the polemical, univocal texts in these courses that oftentimes relate to anyone who might think differently as gullible, at best, and as a blithering idiot, at worst.